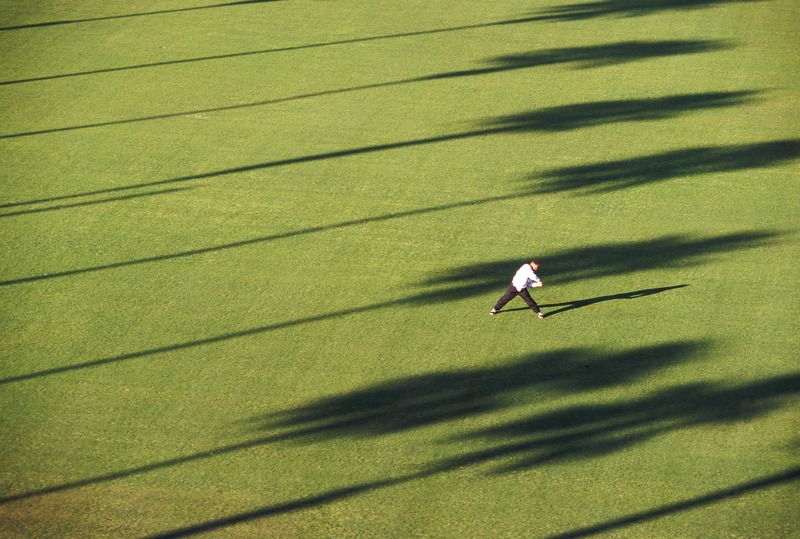 Person doing work out stretch on grass lawn with shadows of palm trees. Fitness. David Zaitz Photography.